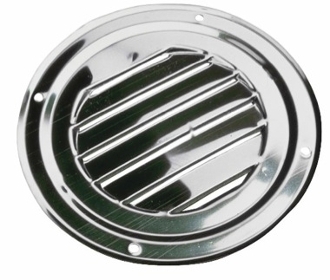 Stainless steel flush mount vent. These vents are marine quality and do not have a screen. Works great for covering odd sized vent holes. These are really good looking vents. They work very well for stairway downlights.